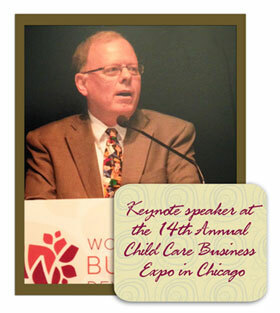 Tom Copeland, JD, is someone every family child care provider wants on speed dial. As the nation’s leading trainer, author, advocate, and expert on family child care business issues, he is full of information that can help providers save time, money, and much stress during tax season. We recently chatted with Tom about his career, travels, and interests, and he even shared his top three record-keeping tips. As the nation’s leading family child care business and tax expert who has worked with thousands of providers, what question do you like answering the most? The questions I like answering the most are those from providers who are being audited by the IRS. Unfortunately, some IRS auditors don’t understand the unique tax issues affecting providers and as a result they give the provider wrong information. I’m often able to point out Tax Court cases, IRS reports, and other documents that support what the provider claimed on her tax return. I get a lot of satisfaction when I can help the provider save hundreds and sometimes thousands of dollars in her audit. How did you get into this line of work? Walk us through a brief timeline of your career. When I graduated from Macalester College in St. Paul, Minnesota, in 1972, I didn’t know what I wanted to do. I lived in a commune, worked in food coops for a few years and then decided I needed more education. I got a law degree because I thought it would give me skills that could apply to many different jobs. My interests were in writing and speaking. I first began working for Resources for Child Caring (now Think Small) in 1981, working with employers to offer child care benefits to their employees. I didn’t know anything about employers or child care, but I saw that the job involved writing and speaking. 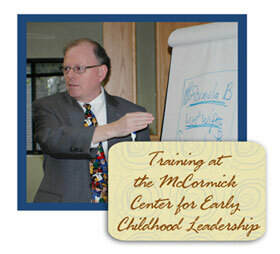 I soon realized that family child care providers did not have access to tools to help them succeed as a business. When IRS officers gave workshops on taxes, they could not communicate in ways providers could easily understand. When speakers from the child care field gave workshops, they often did not understand the tax rules themselves. I felt I could do a better job of communicating effectively and accurately. After doing workshops for providers on my own time on weekends, I decided I should make this my full-time job and started Redleaf National Institute as a division of Resources for Child Caring (RCC). I expanded my work to include writing books and training materials on contracts, marketing, legal and insurance issues, and money management and retirement. 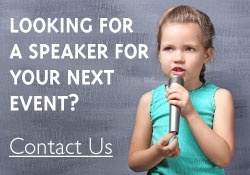 I’ve done workshops in 49 states and my books have reached hundreds of thousands of providers. In 2009 I left RCC to continue this work on my own. I have a partnership with the National Association for Family Child Care and work with a number of child care organizations across the country. 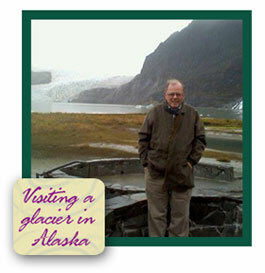 I write regular articles on my blog, www.tomcopelandblog.com, on all aspects of the business of family child care. In addition to using your resources, such as the annual editions of Family Child Care Tax Workbook and Organizer or Family Child Care Tax Companion, what can providers do throughout the year to make tax time an easier process? 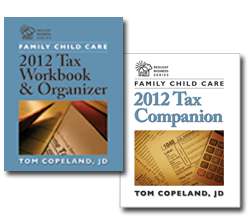 For more details, see: www.tomcopelandblog.com/2012/04/the-3-most-important-rules-that-will-reduce-your-taxes-in-2012.html. You said you’ve held trainings and workshops in 49 of the 50 states. You must have some interesting travel stories and memorable training experiences. Care to share? Finding out 30 minutes before I was to give a workshop outside Chicago that I was actually giving the conference keynote! Missing my plane connection in Houston because of a storm and spending the night trying to sleep in an uncomfortable airport chair. Arriving at the training destination in Idaho and finding the room empty. The sponsors of the training had moved the location but failed to tell me. I waited around until someone finally showed up to take me to the new location. My most memorable training was doing a workshop on retirement planning in a bar on the beach in the Bahamas. Even the bartender was listening closely! When you’re not busy training family child care providers and learning the latest tax laws, how do you like to spend your time? I read a lot of mysteries, biographies, and classic fiction. I enjoy spending more time together with my wife now that I work out of my home and her work allows her to work partly from home. I love my work helping providers and know that they appreciate what I do.